With all of the extra gadgets and electronic toys we’re carrying around in the digital age, maybe extra pockets are what we need. Those aren’t easy to come by in the warmer months when clothing is at a minimum. 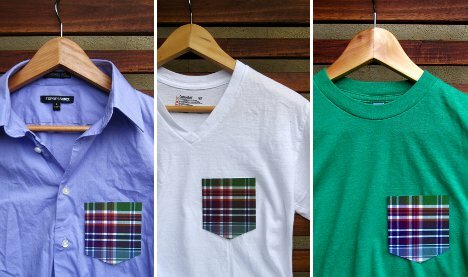 Enter Ryan Vanderbilt, a completely brilliant guy who came up with the Peel & Stick Shirt Pocket. 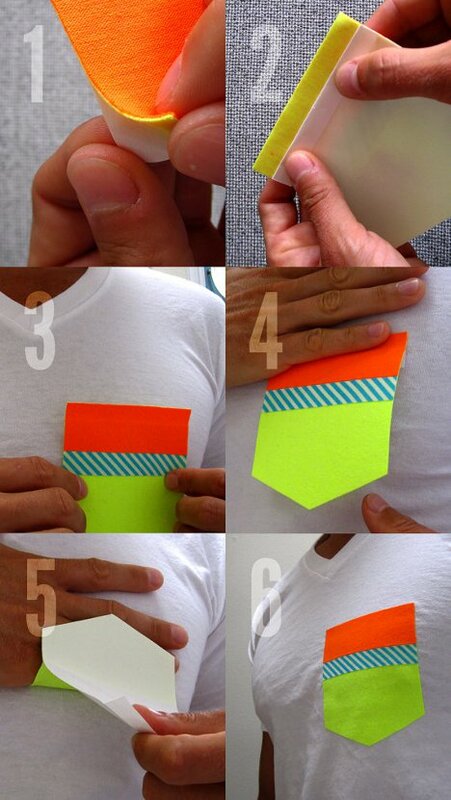 The extra pockets stick easily onto shirts (and presumably any other garment) after peeling off a paper backing. They’ll hold your extra stuff for $13.50 each – but you might need to buy a whole lot of extra pocket protectors to keep up with all of those new pockets. See more in Various Gizmos or under Gadgets. June, 2012.